Posted November 19th, 2017 by Mike Boyes & filed under Anxiety OC PTSD, Consciousness, Stress Coping - Health, Stress: Coping Reducing, Student Success. Description: You may have heard, perhaps in a part of a Psychology course on Consciousness, about the positive effects of meditation. For some people, however, meditation, with its connections to eastern perspectives and spirituality seems a bit too exotic. So how about this: What do you think the effects would be (if any) of your spending just 15 minutes a day sitting quietly and alone without any electronics and doing nothing but thinking. How do you think this would make you feel? What impact, if any, might it have on your level of calmness? Stress? Why not try it and see? What effects might you find in studies that had many people do this regularly for a while? Once you have thought about it (perhaps reflecting on it without devices of any sort for 15 minutes) read the article linked below and see what some psychologists found recently when they conducted 4 studies on this question. Source: Pure solitude, away from devices, is calming: New Research. Bella DePaulo, Living Single, Psychology Today. So, solitude for only 15 minutes made people feel calmer, peaceful and more relaxed. Some also felt sadder, bored, or lonelier, but those feelings could be mitigated by being given a choice as to what to think about. The effects of these positive feelings also seemed to rollout over time if people kept up the practice of taking some solitude each day. Now we can start speculating as to just why this might be the case. What is it about our brains, or ourselves that seems to benefit from 15 minutes of unplugged downtime each day? There is a LOT of room here for more research. What did having 15 minutes of unplugged downtime seem to do for the participants in the research described in the article linked above? Beyond solitude what other factors were investigated in this research? What might be some useful and interesting next research steps that we might take in relation to this line of research on the effects of brief periods of unplugged solitude each day?? Nguyen, T. V. T., Ryan, R. M., & Deci, E. L. (2017). 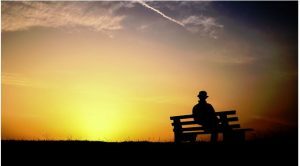 Solitude as an Approach to Affective Self-Regulation. Personality and Social Psychology Bulletin, 0146167217733073.